Jane is a gas analyst at Energy Aspects. She previously worked as a gas market reporter at Argus Media in London and as a graduate analyst in the commercial division at ConocoPhillips. 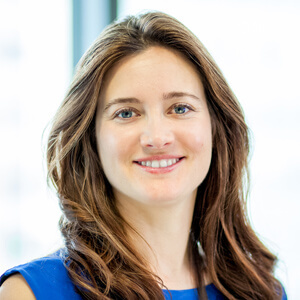 Jane holds a MSc in Management from the London School of Economics and a BA in International Relations from Sweet Briar College. Before moving to London, Jane worked in public relations and interned at the Office of California Governor Arnold Schwarzenegger. 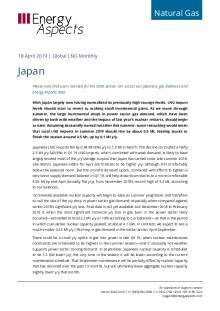 Please note that users licensed for the data service can access our Japanese gas balances and energy imports data.With Japan largely now having normalised its previously high storage levels, LNG import levels should start to revert to making small incremental gains. As we move through summer, the..
South Korean LNG imports totalled 3.0 Mt last month, a sharp 1.3 Mt (30%) lower y/y. Even amid a loose supply-demand balance, the drop was notable as the largest y/y fall in imports for any month in over seven years. The weak LNG intake has helped to normalise South Korea’s LNG inventory levels,..
Next week's edition of European Panorama will be published on Tuesday 23 April, owing to the UK bank holiday.The outlook for the European gas market is still being coloured by the price surge in the first week of April. Some of the overexuberance of that week’s gains, undoubtedly driven by.. Please note that users licensed for the data service can access our Norwegian data for production by field and pipeline exports. Norwegian production was broadly flat y/y in March 2019, totalling 10 bcm despite much lower demand because of mild weather and high European LNG receipts. A drop in fl..